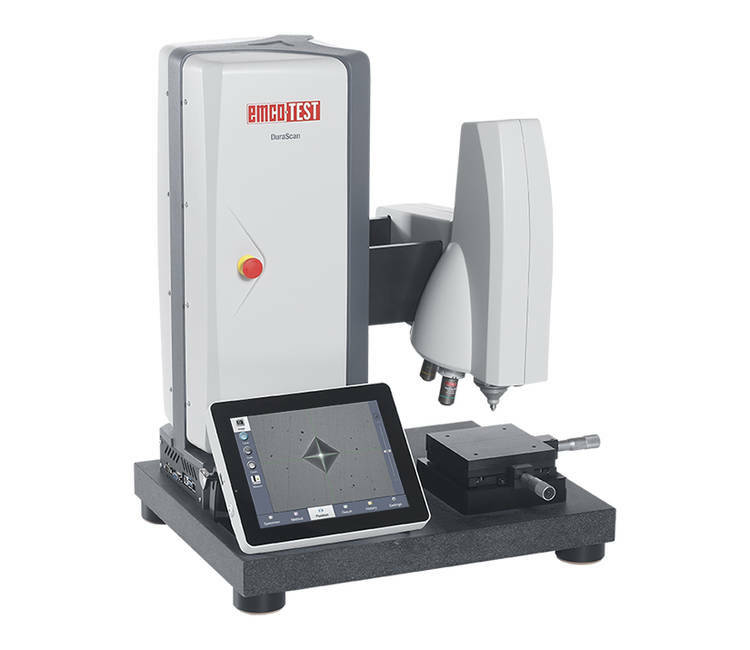 With the DuraScan G5 family, all Vickers, Knoop and Brinell test tasks in the load range between 0.25 gf and 62.5 kgf can be performed efficiently, flexibly and reliably. 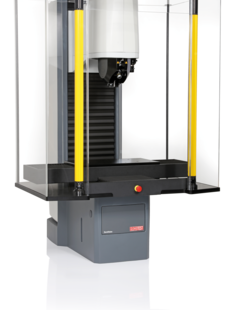 All model versions excel with the innovative user guidance system of the ecos Workflow operating software. 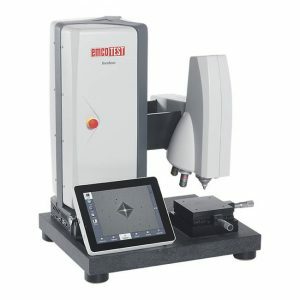 The test cycle from setting the indent through to displaying the hardness value is always performed fully automatically, thereby eliminating operator effects to the greatest possible extent. 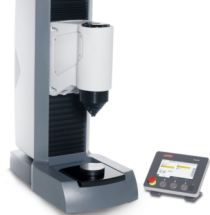 The DuraVision G5 hardness testers cover a unique wide standard load range of 0.3–250 kgf and 3–3000 kgf. 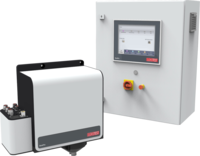 The electronically controlled test cycle provides for a large selection of test methods. 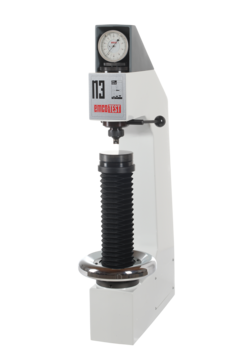 The Brinell, Vickers, and Rockwell test methods can be measured in compliance with EN ISO and ASTM standards, and carbon testing is also possible. 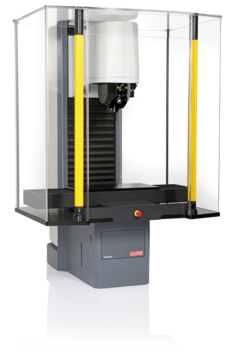 Knoop and plastic tests can also be conducted with the lower standard load range models. 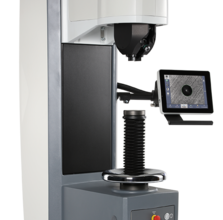 Thanks to its sturdy construction, in combination with the simple and swift operation plus precise and repeatable measurement results, the DuraVision G5 hardness tester is also particularly suitable for use in harsh, demanding production environments. Experience is required to master special challenges. 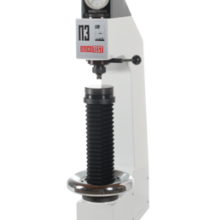 Our portable Rockwell hardness testers are the result of more than 60 years’ experience. They have proven themselves in many branches of industry for decades. 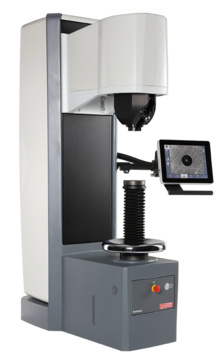 The heart of every tester is the reliable spring sleeve unit for load application. The hardness value is indicated on an analogue dial gauge. 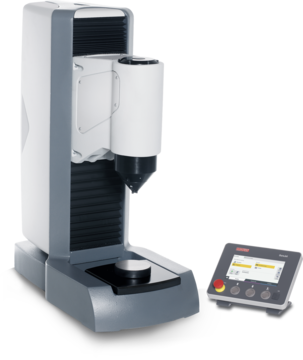 DuraPro hardness testing modules allow the most important types of test – Brinell, Vickers, Rockwell and Knoop – to be conducted. The modules are intended primarily for integration into fully automated production systems to facilitate 100% testing of specimens. The modules impress here with clear interfaces and extensive documentation for integration, low maintenance and simple operation. The load is applied with a 180° pivoting hand lever. (pre-load and main load stage). Copyright © 2017 by aban technologies. All rights reserved.